Is The iPad Heading To Target? There’s nothing like blurry pictures of computer screens taken with a camera phone to get people excited about possible changes in the availability of hot tech products. 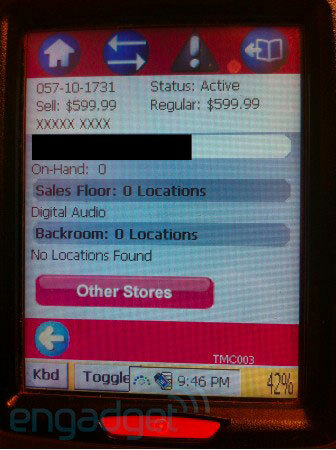 Over the weekend a cameraphone image of what appears to be a Target inventory control system was sent to Engadget. The picture shows a product that will be priced at $599 coming to the department store chain’s “digital audio” department, which also happens to be the department that e-readers go into. Adding even more credence to the story is that in all there were six similar items in the system, all of which that have prices that align with the six models of iPad that Apple offers. Supposedly these items will show up in the stores on Oct. 3rd, which to us lends credence to the idea that the iPad 2 is no hitting this year prior to Christmas. Considering that Apple has put the iPods and the iPhone into mass market retailers such as Walmart and Target already, so the idea of the iPad showing up in those stores really wouldn’t be all that surprising. When you add in the increased production numbers we’ve been hearing about, it is not at all out of the realm of possibilities that Apple is preparing for such a move. The reported launch date is also right on for proper positioning going into the holiday shopping season for all of the companies involved. With the ease of access for even the most casual of shoppers, the number of iPads given away for the holidays could far exceed the predicted numbers we’ve been hearing for this device to possibly sell this year. The idea of an iPad under every Christmas tree is not even remotely inconceivable now. Only time will tell if this information is correct, but upon first glance, it sure looks like it. What say you? 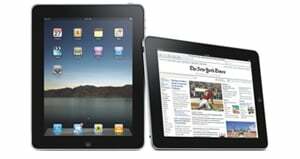 Will the iPad soon be at a store near you?